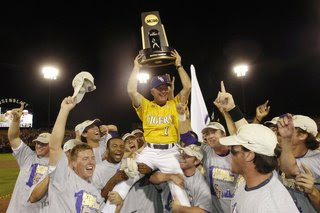 Congratulation to the 2009 LSU Baseball team on the sixth college series championship. Watched the game start to finish and it was awesome. I felt a little bit of sympathy for Texas but hey, they still have a good team and can try again next year.